Formerly married couple Blake Shelton and Miranda Lambert both attended the ACM Awards tonight. Lambert brought her new boyfriend, Anderson East, to the show, marking the couple’s first red carpet appearance together. Shelton took the stage to perform his new single “Came Here to Forget,” a track reportedly about his relationship with new girlfriend Gwen Stefani. Naturally, Shelton and Lambert fans got really heated over the entire award show situation. Some fans were hating on Lambert’s new beau, saying that East is a downgrade from Shelton and how they missed seeing Shelton and Lambert together. “Miranda Lambert sure came out on the short end of the stick with her new beau, from Blake Shelton to omg,” @HughScott tweeted. “Blake and Miranda need to win an award for continuously letting me down every time I remember they’re not together. #ACMs,” shared @mad_rig. “Still hurts to think that Miranda and Blake aren’t together,” tweeted @gerbss28. “Okay, I love me some Miranda Lambert but her new boyfriend is a major downgrade from Blake Shelton. Just my opinion,” @calliehudson01 tweeted. However, other fans were totally supportive of Lambert bringing East to the show. “There’s an energy in Miranda/Anderson East pics that was never there in pics w Blake. Can’t help notice that,” said @NYMirandaJunkE. Many fans thought it was disrespectful or just plain awkward that Shelton was performing the song about Stefani in front of Lambert. “How awkward do you think it is for Blake Shelton to sing his new song while Miranda lambert is sitting in the audience in front of him #ACMs,” said @shannonrmaloney. “Don’t like Blake singing about getting over or even with Miranda #TeamMiranda #ACMs,” @christie_824 shared. “Blake singing makes me feel awkward for Miranda. #ACMs,” said @blownxawayx94. 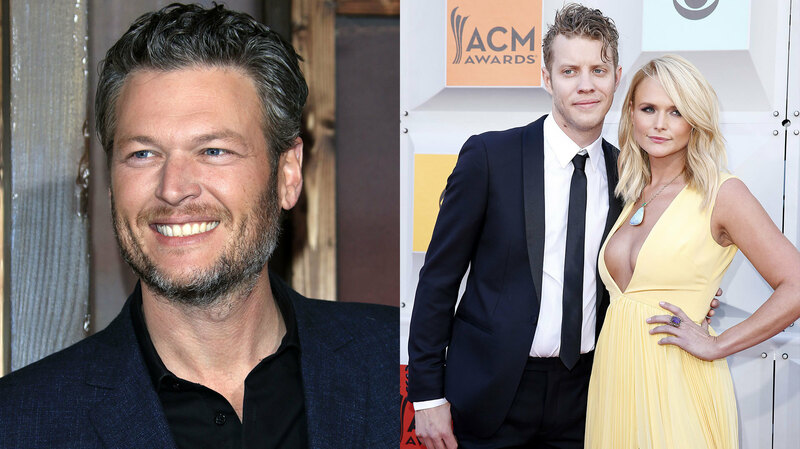 “I wonder if it’s awkward for Blake and Miranda to see each other at award shows and what not and kinda like avoiding an ex in school/town,” said @green_jade22. Other viewers said Shelton looked especially emotional during his performance of the song, making fans wonder: Does Shelton miss Lambert? “Looked like ole Blake was looking for Miranda. Think I saw a tear. #ACMAwards,” @LadyInBootsMT tweeted. “Couldn’t help but notice how sad Blake looked at the end of singing…. He still wants Miranda #ACMAwards #blake+miranda4eva,” shared emmaleigh09. “The question on everyone’s mind. Was Blake Shelton looking at Miranda Lambert while signing his new single? Hmmm. #Acms,” tweeted @Lily_Mariie. “#ACMs Blake Shelton looked soooo emotional!! Was it seeing Miranda?? #sadhunk,” said @susanbaze. However, other fans were just so over the drama. “Blake didn’t make Miranda famous. Miranda brining Anderson is not disrespectful. We should all get over it,” @alexetweets posted. “Why can’t Miranda’s fans just be happy that Miranda is happy. Just let it go already. Ya know what I think it is? I think they miss Blake,” @gwenslays tweeted. “I really don’t see why Miranda and Blake being in the same room makes people flip out. calm down? Stop looking for drama it doesn’t exist,” said @charlotttesking.